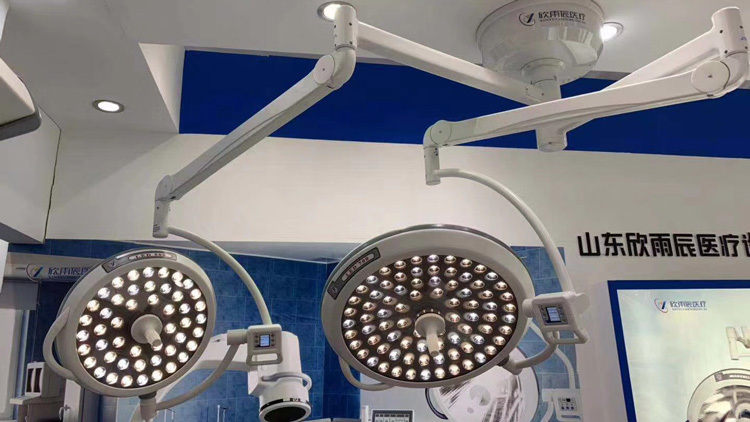 YC series LED surgical light deliver cool, bright white light so the medical staff stays comfortable under the most demanding conditions. The high quality operating light provide natural color rendition and excellent shadow control, and deep-cavity illumination, making it an ideal choice for operating environments. 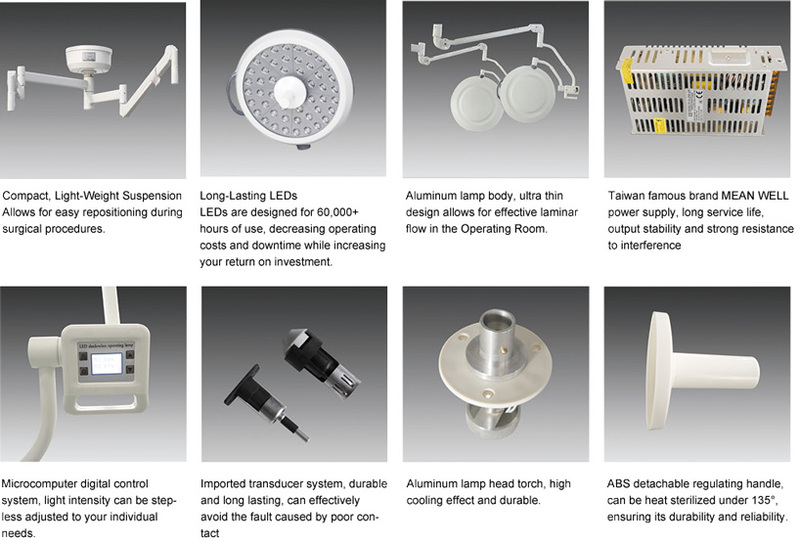 More than 60,000 hours long service life-span,low failure rate,quality guaranteed,60 times of halogen lamp,avoiding frequent replacement of lamp during service life. System uses only 40% of electricity compared to Halogen lamp. An imported LED cold light source is adopted as operation lighting. As a genuine cold light source, there is almost no temperature rise at the doctor’s head or the wound. The white LED has a feature of color temperature which is different from the light source of common shadowless lamps for operation. It may enhance the chromatic aberration between blood, other body tissues and organs, and it thus helps the operating doctor to have a clearer view. Six group joints move together and moves smoothly,positions stablely.360 universal design can satisfy various needed height and angle in the operation. Ideal spatial arrangement design generating a great shadowless effect and deep lighting effect, ingenious escape the doctor's head and arm block.